We’ve all done it. Your favorite movie finally comes out on DVD and you can’t hit play fast enough. You know every word and irritate whomever you talked into watching it with you. Then, you head on over to the "Extras" section where you can hear the director's thoughts, get the behind-the-scenes scoop, and if you’re lucky, even learn something. So, you can imagine how psyched I was when I got the chance to film for the DVD release of Ouija® the movie which possesses theatres on October 24th. I consulted during pre-production of the movie and I thought that was cool. Thanks to Gene Orlando from the Museum of Talking Boards and Bennett Schneir, one of the producers of the movie, I got my chance. I was put in touch with the production company Universal Studios Home Entertainment hired. At first they wanted to film in the LA area, which would have been awesome except that they wouldn’t be able to film all the Ouija stuff that makes great B roll. 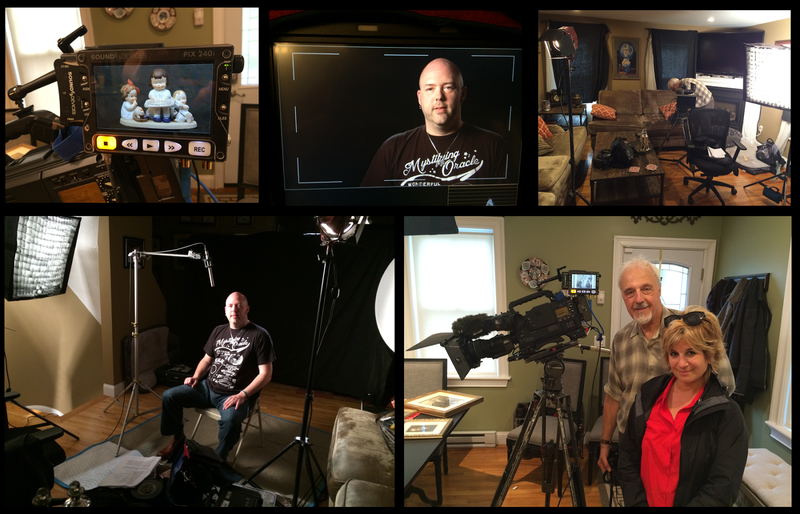 In the end they came to Boston where they transformed my home into a set! They filmed me talking about how Ouija and talking boards got their start and we followed them through the ages trying to answer the million-dollar question: How did Ouija go from family fun night to family fright night? They filmed a lot of different boards in my collections and tons of other Ouija paraphernalia. I was in heaven! Imagine being given the opportunity to talk about and show all the stuff you think is super cool that most people either glaze over when you start or look at you like you’re crazy. By far this one was one of the coolest experiences I’ve been lucky enough to take part in. Want to get in on the action? 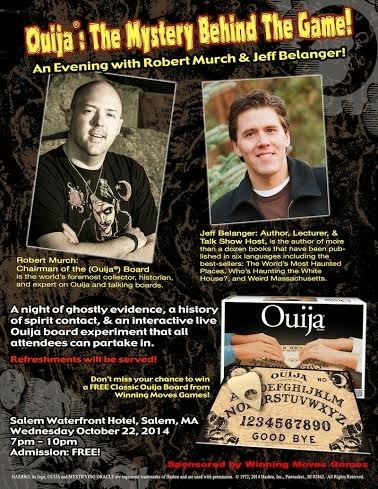 Come to Salem, Massachusetts on October 22nd at 7PM at the Waterfront Hotel as Winning Moves Inc., maker of Classic Ouija, hosts an evening with Jeff Belanger and me. We’ll explore the Mystifying Oracle® and travel through Ouija’s 125 years. This is a FREE event and seats are limited so get there early for your chance to win your very own Classic Ouija board! Click here for details. Now, go see the movie opening night and buy the DVD as soon as it hits store shelves. Head on over to the "Extras" section and there I’ll be. 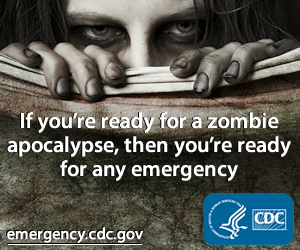 Not much scarier than that eh?!?!? !